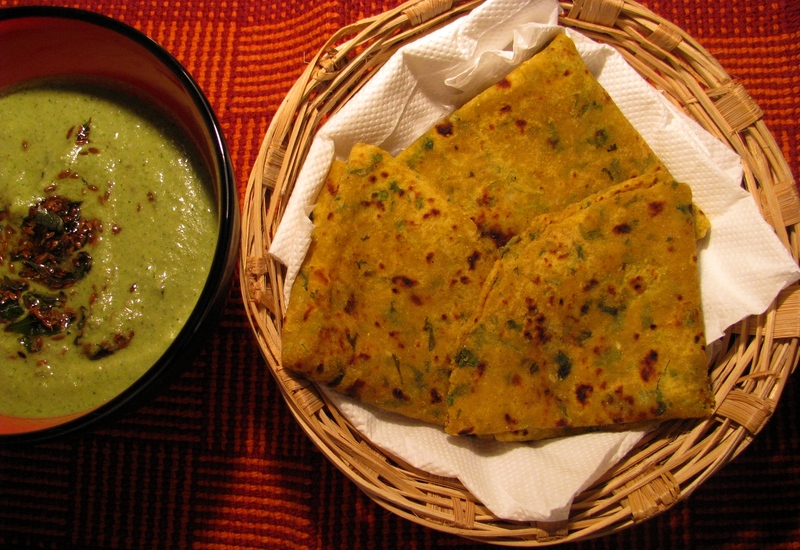 This recipe is easy to roll Aloo Parantha or Thepla without mess of stuffing. To roll stuffed Paratha is difficult task and most of the time lot of filling comes out of it, especially for those who are new in kitchen. This Aloo Paratha recipe which I have explained tastes same as stuffed Aloo Paratha and good part is the stuffing ingredients tastes in each and every piece of Aloo Paratha . I have added all the stuffing ingredient of Aloo Paratha in whole wheat flour (gheu ka atta) and make soft dough of it .I have not used onion in this recipe but you can add finely chopped onion in Aloo patha dough. You can use lot of healthy options to make Aloo Paratha healthy, nutritious with low calories. Add 1 tablespoon wheat bran in 1 cup wheat flour to make Aloo Paratha dough. By this you will increase more fibre content of all Paratha. You can also add grated carrot (gajar), bottle gourd (lauki), beetroot or finely chopped methi (fenugreek leaves) to make it more nutritious and low calorie. Roast Aloo Paratha with little or no oil to make it low in calories. You can also make Aloo Paratha from leftover dry Aloo Sabji. Smash the dry Aloo Sabji nicely with hands or potato smasher. 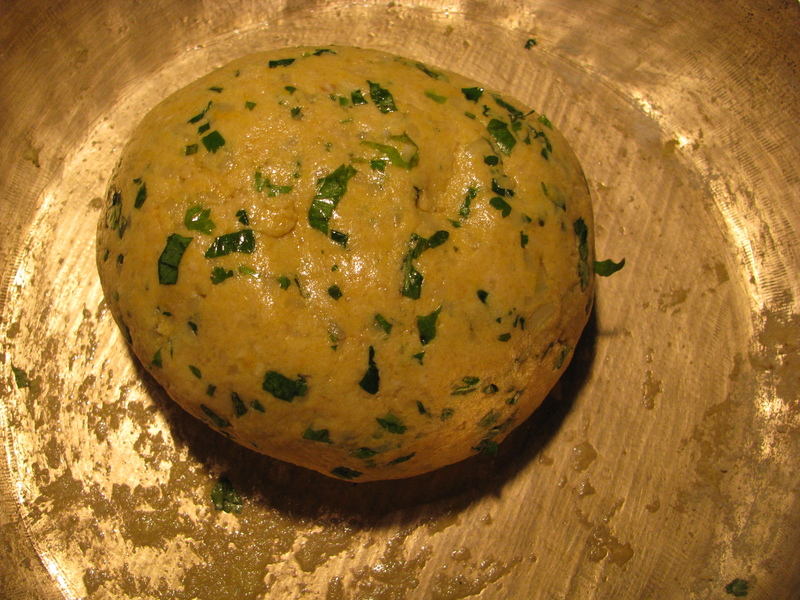 Mix 1 cup dry Aloo Sabji with 1 ½ cup of whole wheat flour add little salt and make a soft dough of it . This Paratha tastes same as the Aloo Paratha made from Aloo Sabji stuffing. Simply roll the Paratha into small disc and roast it with little or no oil. I have explained step by step recipe to make Aloo Paratha from scratch. You can any ingredients which I have mentioned above in tips while making dough. Share your queries, suggestion and let me know how the recipe worked for you in comment box. Combine all the ingredients except oil / ghee and keep it aside for 5 – 10 minutes . Now add little water / curd / butter milk to make soft dough of it . Make 6-7 balls of this dough and roll it into circle discs . Roast paratha on girdle or tawa from both side with little or no oil . u can also roast it with butter or ghee . serve it with pudina chutney or raita . What’s the difference: grated coriander and coriander powder? Its corriander powder only. I have corrected it.